Drones: Legal, Ethical, and Wise? This article originally appeared in The Christian Science Monitor (on March 5 online and March 18, 2013 in the print edition) and was entitled “Three questions to ask about U.S. drone strikes.” Reposted with kind permission. The white paper released in February 2013 detailing the Obama administration’s policy on the use of drones for targeted killings has stirred plenty of controversy. Questions about the policy came up again during the Senate confirmation hearing for John Brennan, President Obama’s nominee for CIA director. White House spokesman Jay Carney has defended the drone memo, asserting: “These strikes are legal, they are ethical, and they are wise.” But rather than closing the debate, that statement frames the three essential questions Americans should be asking about U.S. drone policy. Legal justification is blurred by two competing frameworks: the law of armed conflict and the criminal justice approach. On the one hand, the Obama administration has embraced the criminal justice model, moving away from the language of the “global war on terrorism” and looking to try 9/11 conspirators in civilian courts. On the other hand, by engaging in executive action to target and kill enemies of the state, President Obama has embraced the core doctrine of the war approach, which bypasses the legal due process of the criminal justice system. Moral ambiguity about U.S. drone policy arises from the gray area between law enforcement and warfare. The “law enforcement” approach seeks to foresee threats and retaliate for attacks. It polices and reacts within the traditional model of defense and war. On the other hand, a “war against terror” has no endpoint, and its theater of operations is everywhere on earth. The effort to defeat al-Qaeda and its affiliates is more like a fight against criminal gangs than a conventional war. There will be never be a complete safe haven from terrorism, and there will never be an armistice. Such a fight requires flexibility and reach, beyond the traditional parameters of war. And so the strongest ethical argument in favor of drone strikes boils down to efficiency. The virtues of U.S. drone policy include precision targeting, limited collateral damage, and preventing troops from going into full combat mode and being killed. But each of these virtues has its limits. We know of targeting errors, tragic accounts of unintentional killing of innocent bystanders, and the fear that drones turn foreign public opinion against the United States. When the stakes are so high, is the efficiency argument good enough? Of particular ethical concern are the questions of due process and accountability. Who makes decisions about who the targets will be and whether to execute a strike? What is the procedure and the oversight for those calls? Again we see blurred lines. It is significant that the drone program is an executive action run by the CIA, largely sheltered from international laws of war. CIA accountability comes through Congressional oversight—a mechanism that may not be optimally suited for creating, monitoring, and enforcing guidelines for drone operations. As this oversight evolves, it is imperative that American values are safeguarded through proper checks and balances on the CIA’s drone program. One characteristic of a wise decision is that it stands the test of time. The current U.S. drone policy will be considered wise only if it can answer the questions raised above and more along these lines. We know from history is that each time the U.S. has gone to war it has been accompanied by an expression of restraint. Force and restraint go together. 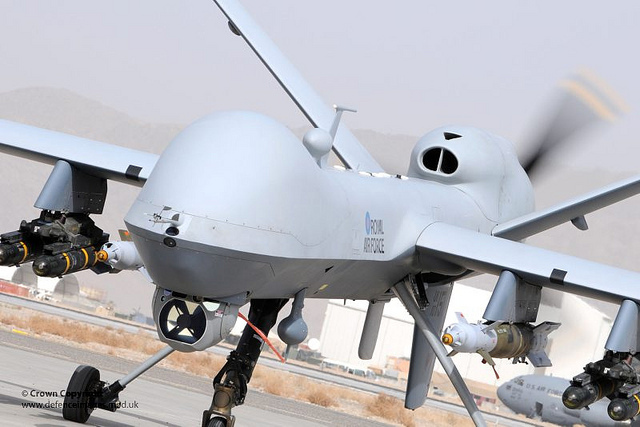 Drones are only the latest example of that paradox of war. The Civil War gave rise to the Lieber Code—rules of engagement later echoed in The Hague Conventions of 1899 and 1907. The World Wars were followed by humanitarian principles enshrined in the Geneva Conventions. Twenty-first century conflicts have given rise to new means for using force. New rules and moral expectations must follow. Creating those new rules is the vital work now to be undertaken. Congress, with executive input, is the proper venue. The confirmation hearings of the new national security team should be the beginning not the end of the process.